The Government of Canada established October as Women’s History Month in 1992. This special month provides an added opportunity to learn more about women’s history and their contributions to Canadian society. A proud tenth generation Canadian, Pauline has many stories of Canadian Pioneer Women to share. These presentations have delighted audiences of all ages across Ontario and into Nova Scotia. 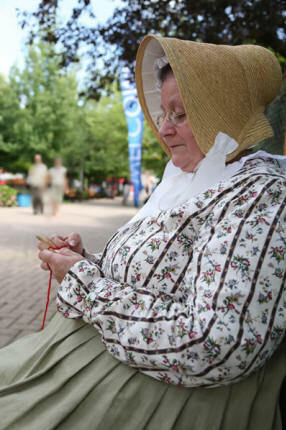 Suggestions for a special celebration of Canadian women and their forebears include: Stories of Women In Upper Canada During the War of 1812; When Suffragettes Won Back the Vote; Herstory History; Piecing Together Canada’s History Through Quilts; Tea Legends and Traditions; and If Teapots Could Talk. Details of Pauline’s presentations are individually listed on the web site. Special requests are always welcome.